Ideal FOR OUTDOOR USE. 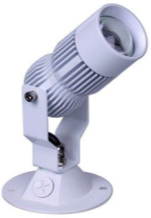 Replace any existing 75 watt to 100 watt Flood Lights with 10 watts LED. Color (RGB) option . Available in Low Volt also. Best used as Wall Wash Accent Light , Signage and typical Landscape Applications with beautiful lighting effect on plants and walls. Ideal FOR OUTDOOR/ INDOOR USE. 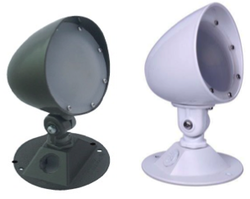 Replace any existing 75 watt to 100 watt Flood Lights with 10 or 20 watts LED. Color (RGB) option . Available in Low Volt in 10 Watt unit ONLY. Signage and typical Landscape Applications.